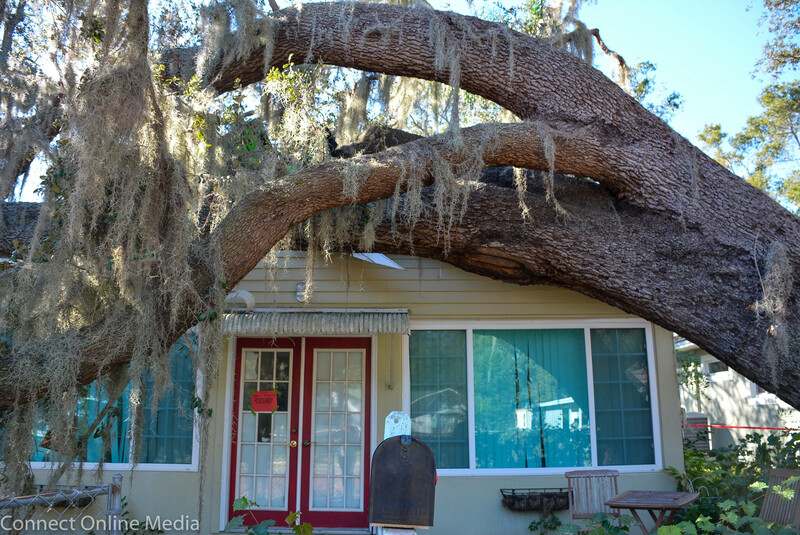 A massive, 180-year-old oak tree split off from another tree and landed on top of a home in downtown Safety Harbor on Friday, Dec. 8, 2017. 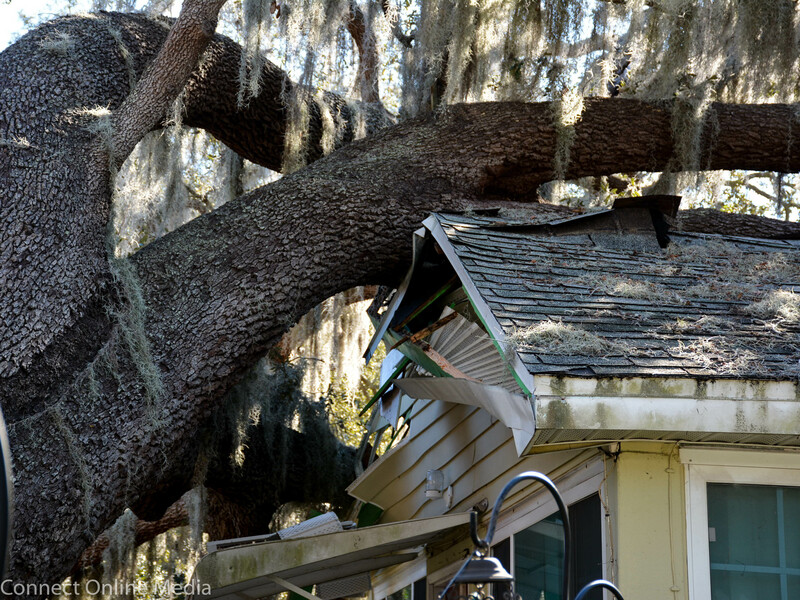 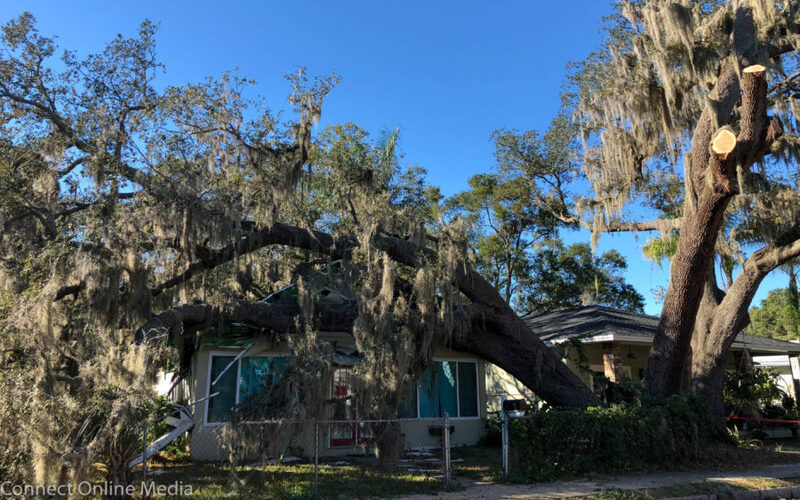 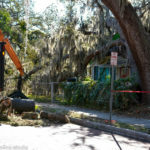 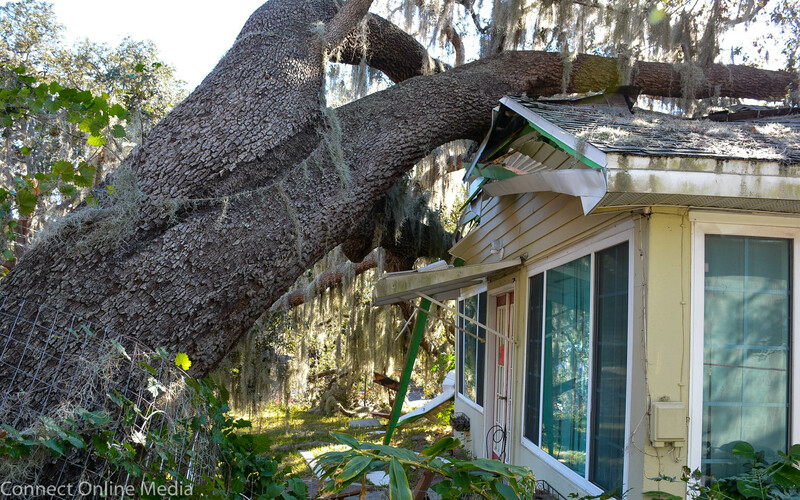 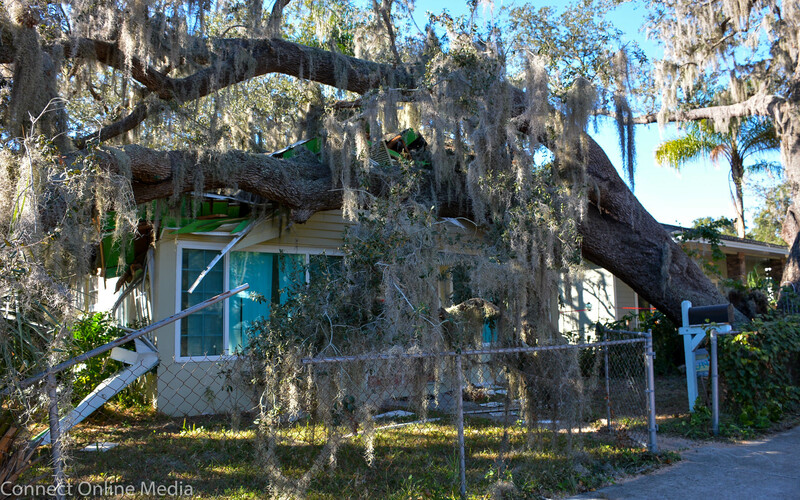 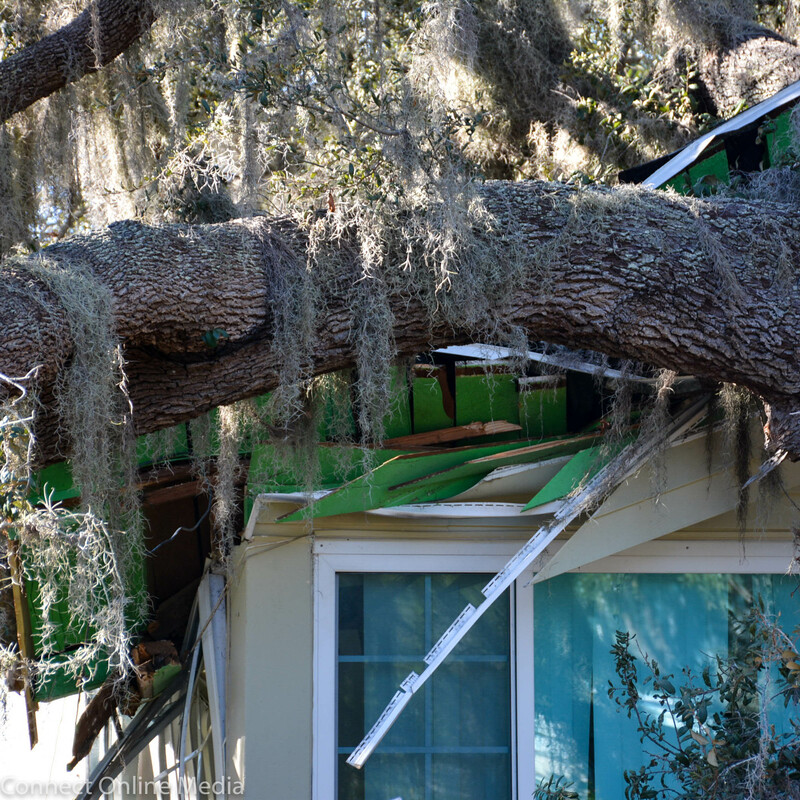 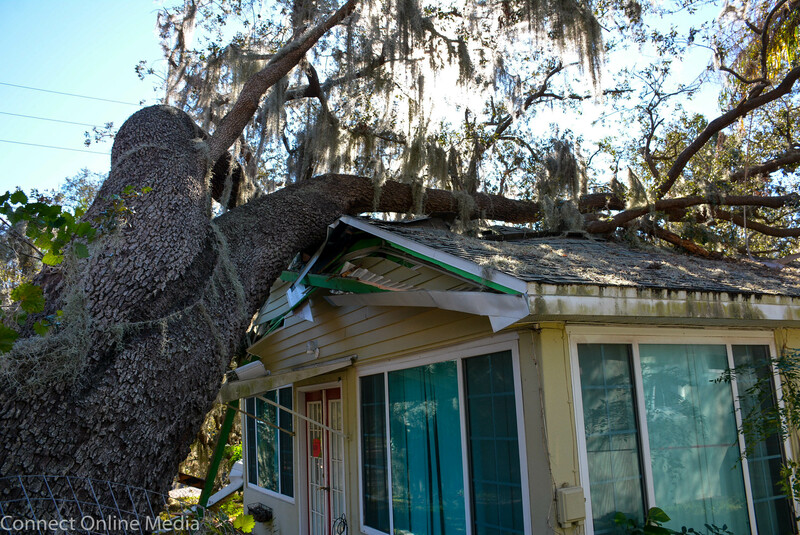 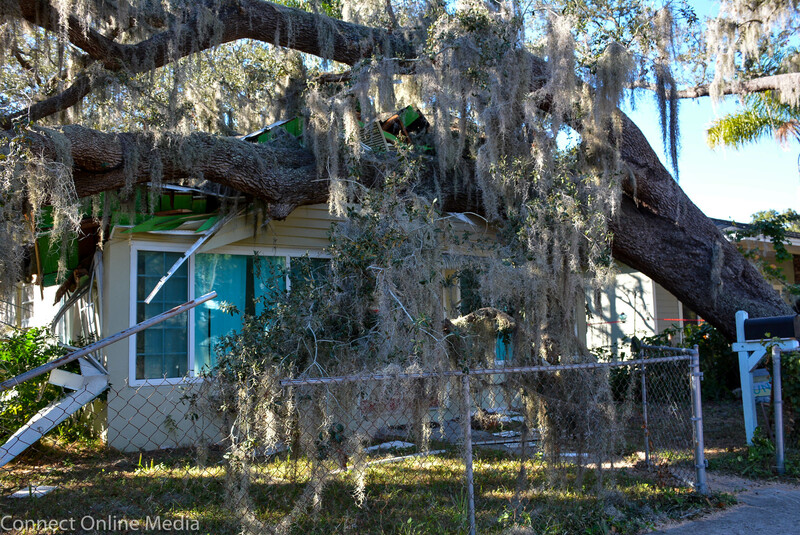 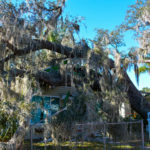 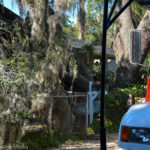 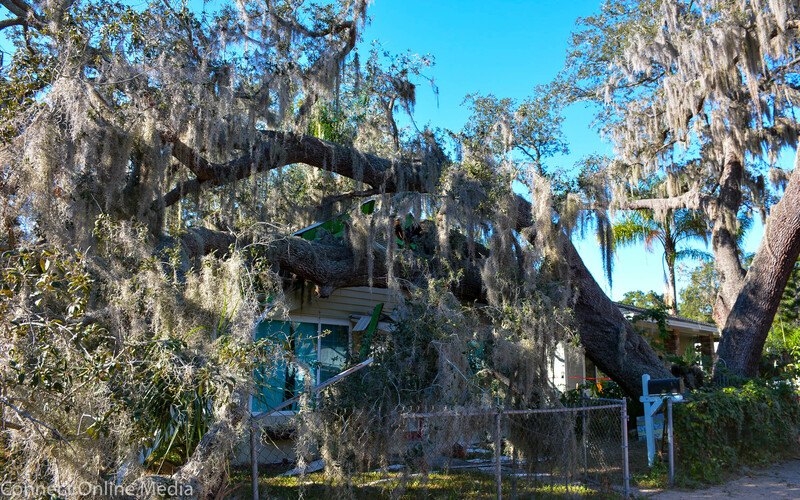 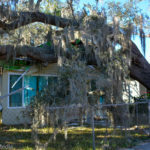 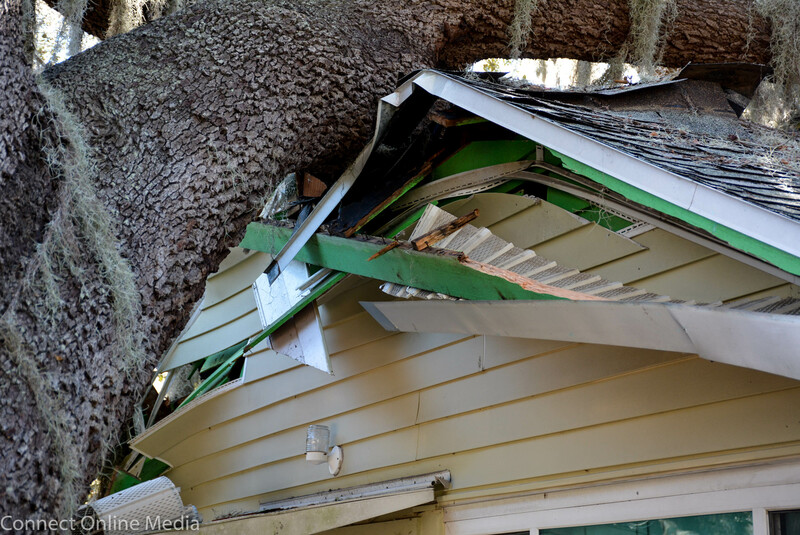 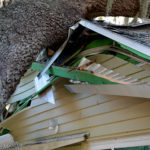 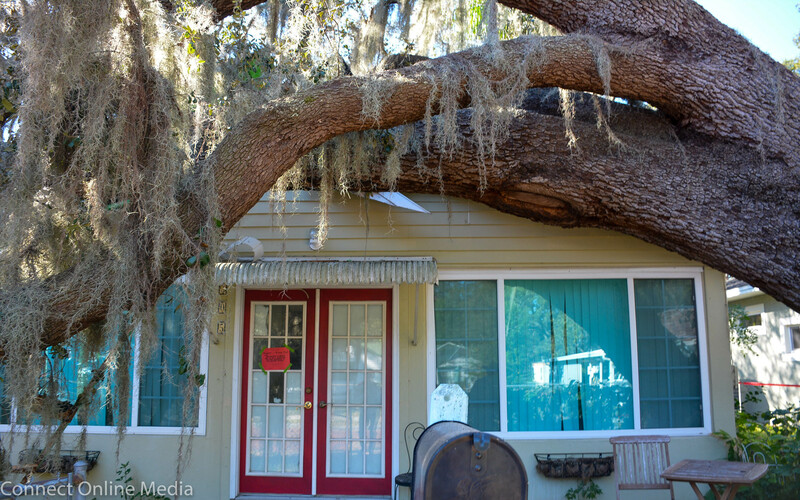 A massive, 180-year-old oak tree split off from another tree and landed on top of a home in downtown Safety Harbor over the weekend. 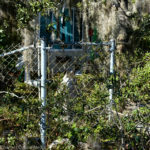 The incident occurred just before midnight on Friday, Dec. 8 as Janice Boyce was sitting in her living room watching TV. 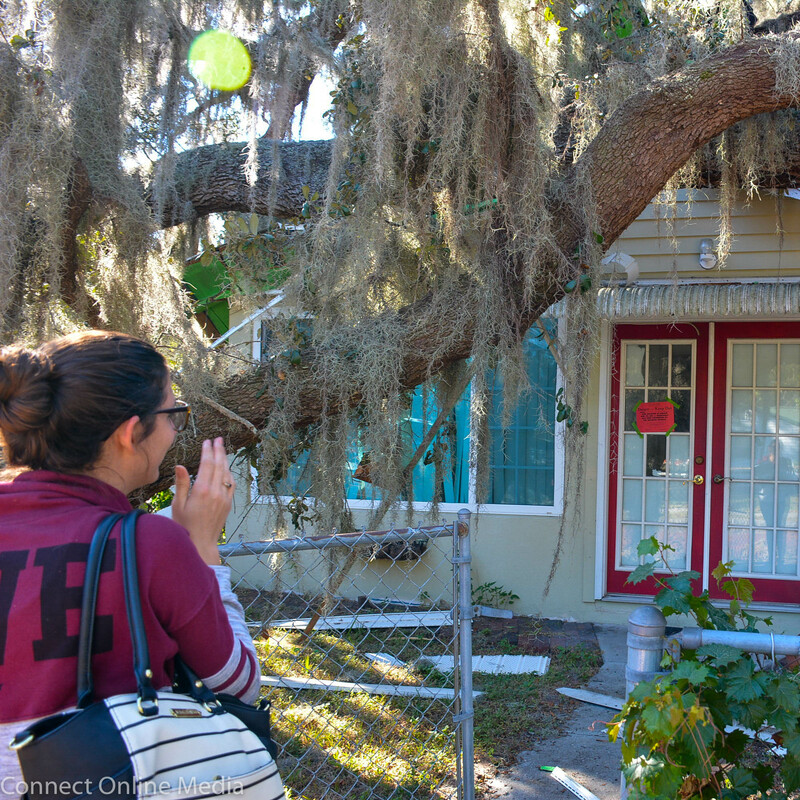 Janice Boyce and her daughter, Kayla Coluzzi (l), observe the damage to their downtown Safety Harbor home with two neighbors on Monday, Dec. 11, 2017. 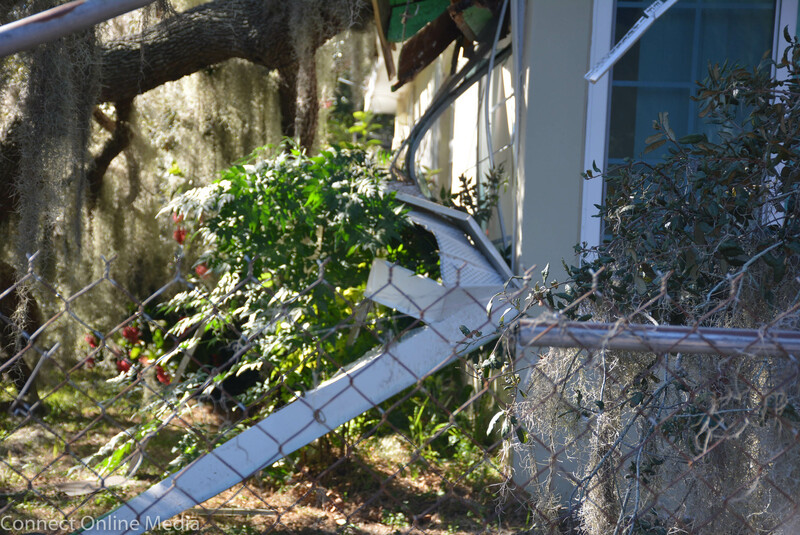 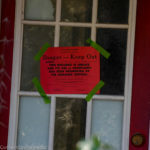 “I was sitting on the couch watching Shameless and I got up around midnight to get something from the kitchen and all of a sudden I heard a splintering crash and glass breaking,” Boyce, an 18-year resident of the Fourth Avenue North home, told Safety Harbor Connect Monday. 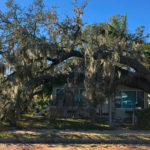 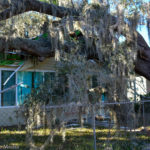 Boyce was the only one home at the time; fortunately her daughter, Kayla Coluzzi, was out with friends, as the bulk of the tree landed directly in her bedroom. 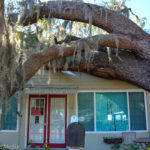 “My mom called and said ‘there’s a house in our tree’ and I was like, what are you talking about? 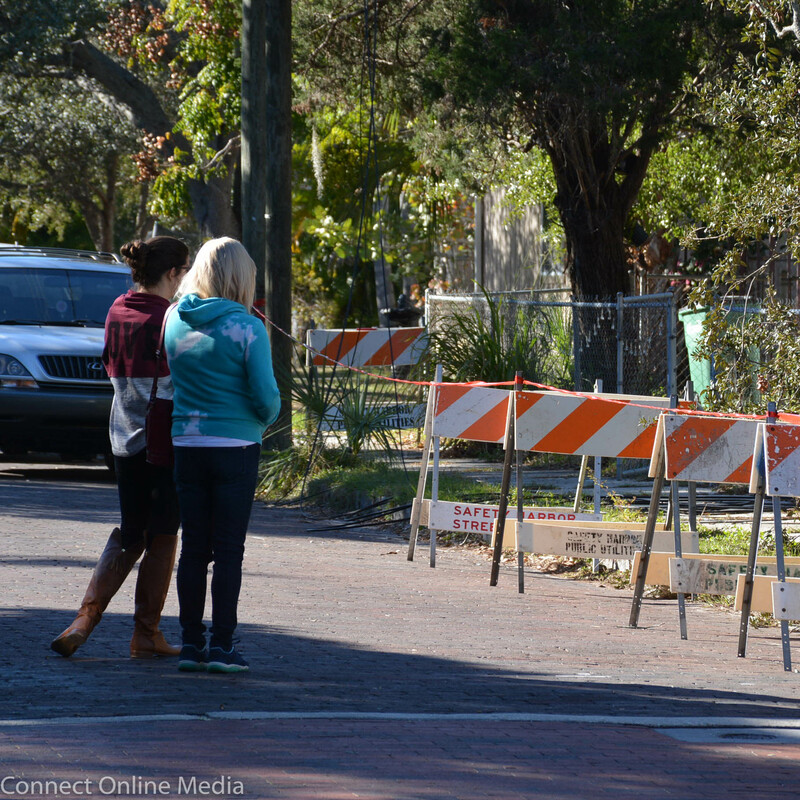 !” Coluzzi, a 27-year-old Safety Harbor native, said. 27-year-old Kayla Coluzzi risks looking inside her damaged home to check on the safety of her fish on Monday, Dec. 11, 2017. 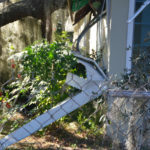 As awful as the damage was, Coluzzi said there was a bright side. 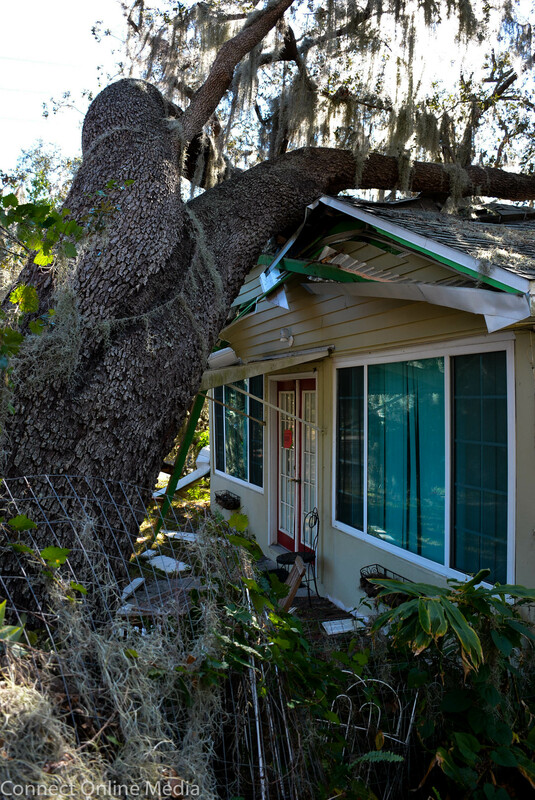 “Luckily I wasn’t home, because my bedroom is right in the front,” she said. “And thankfully my mom wasn’t hurt. 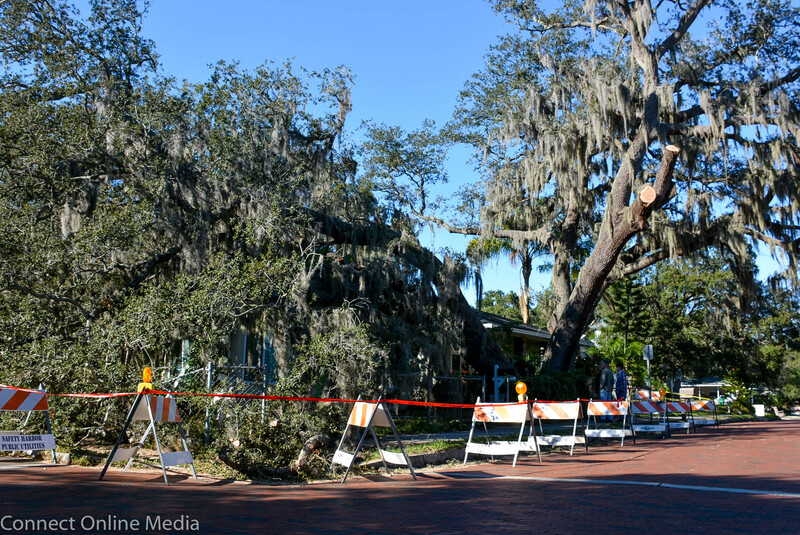 According to Safety Harbor officials, the unfortunate accident was the result of two co-dominant trees finally going their separate ways. 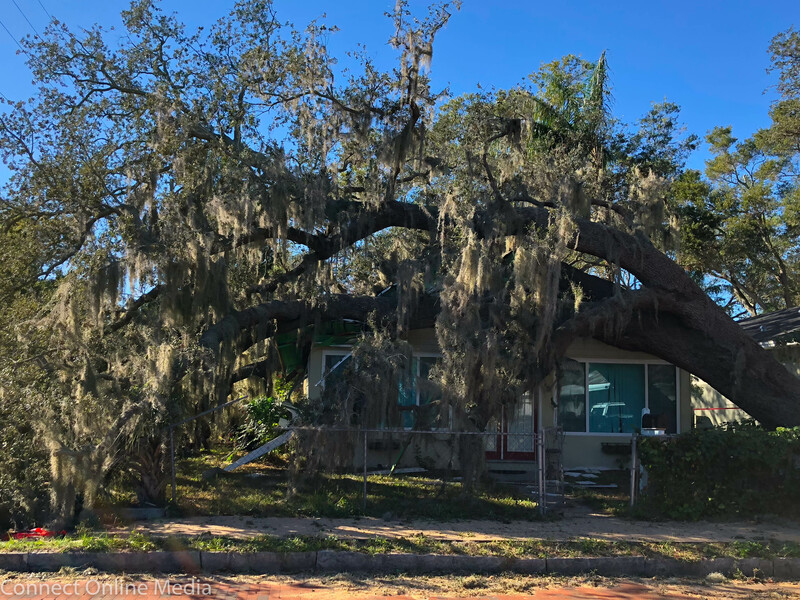 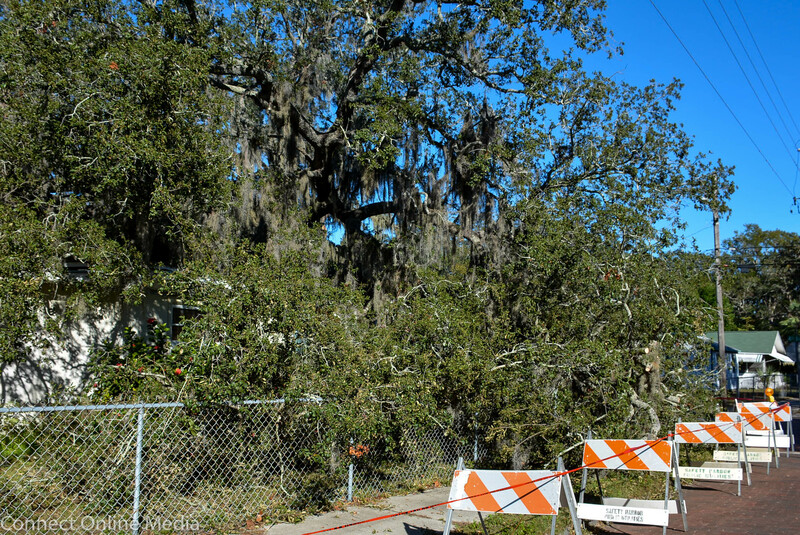 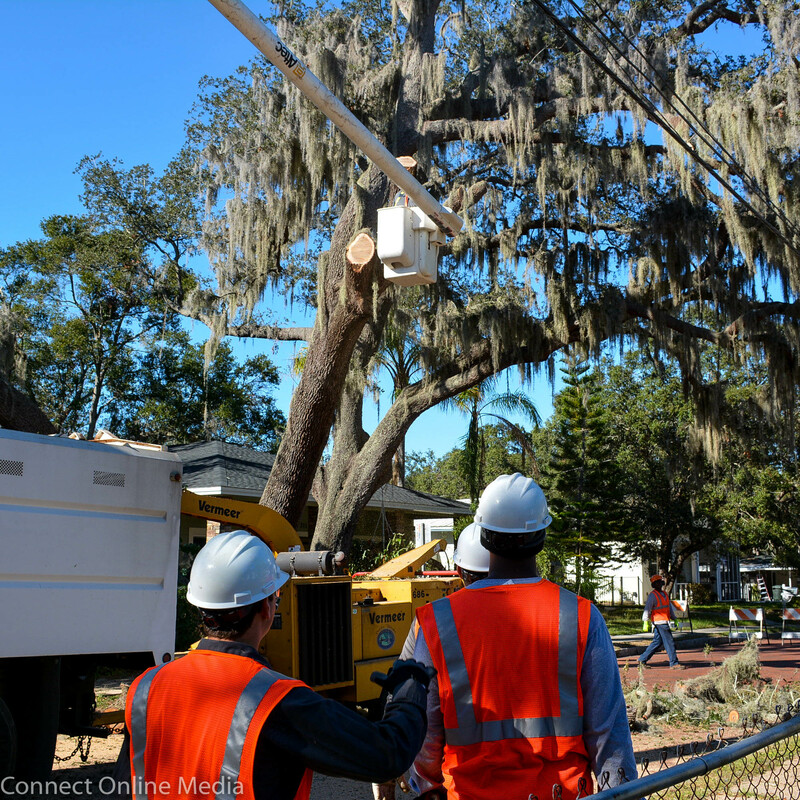 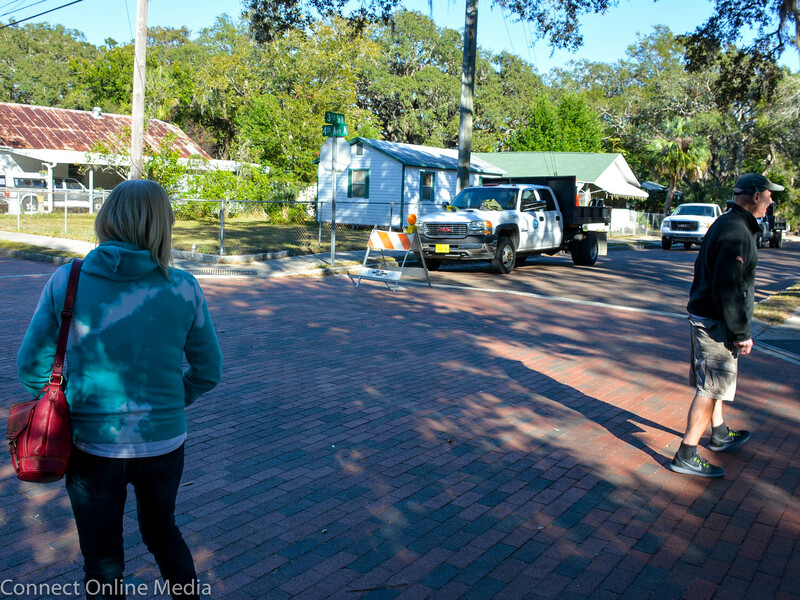 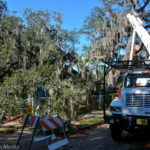 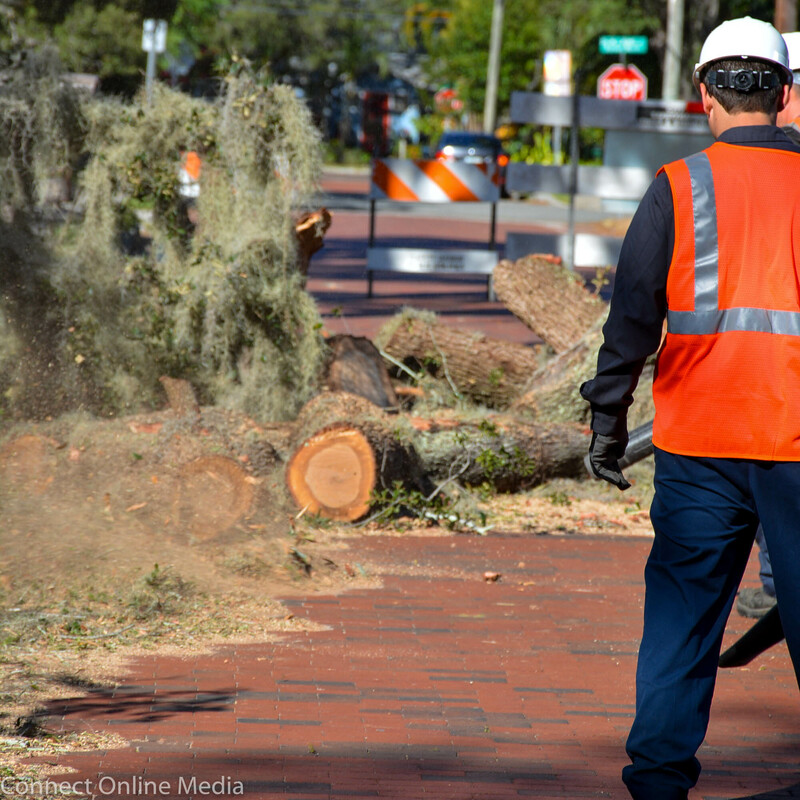 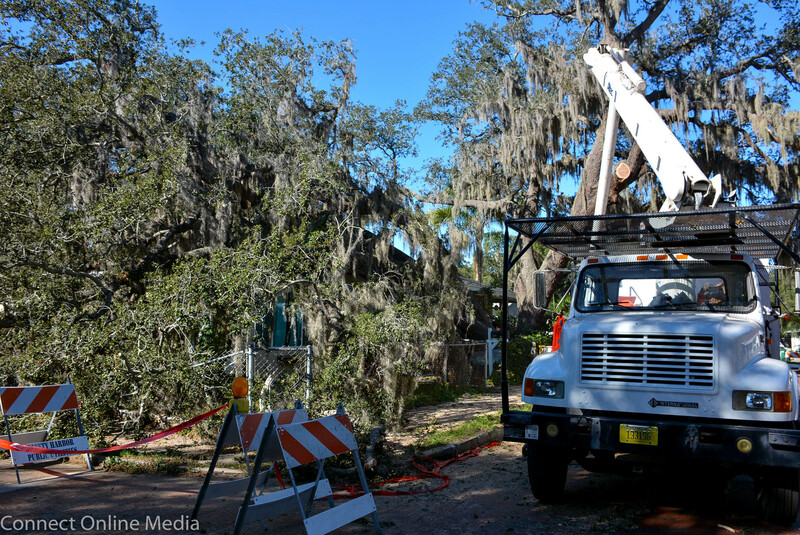 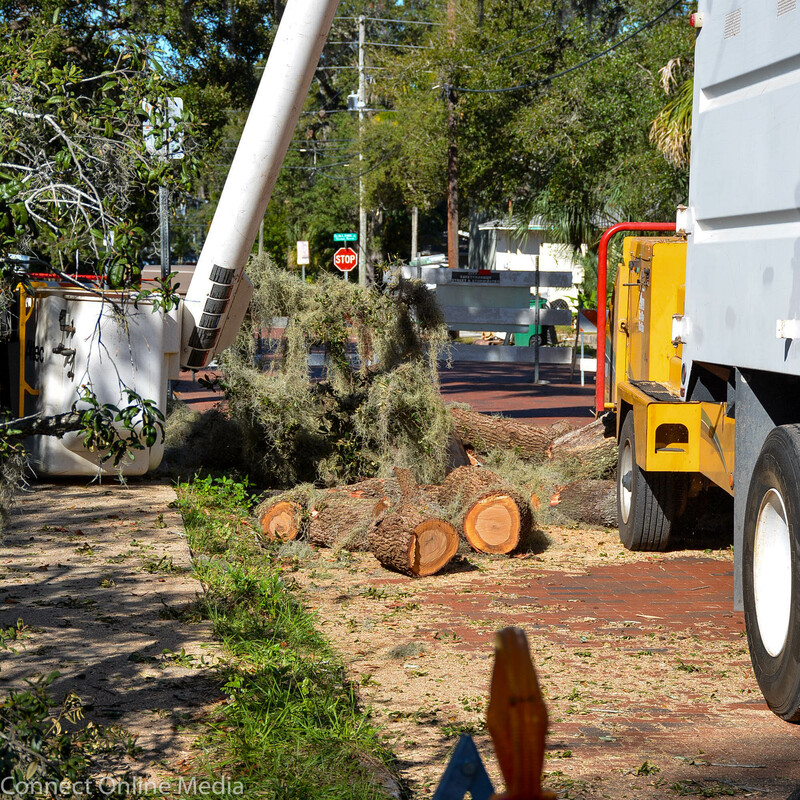 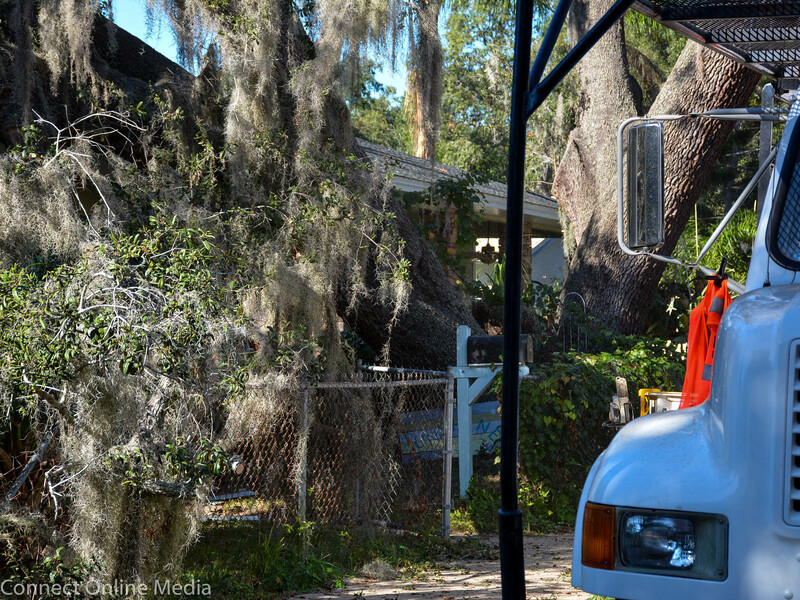 “Codominant trees happen when two trees grow together but there are no roots between them,” city arborist Art Finn told Safety Harbor Connect as he surveyed the damage on Monday afternoon. 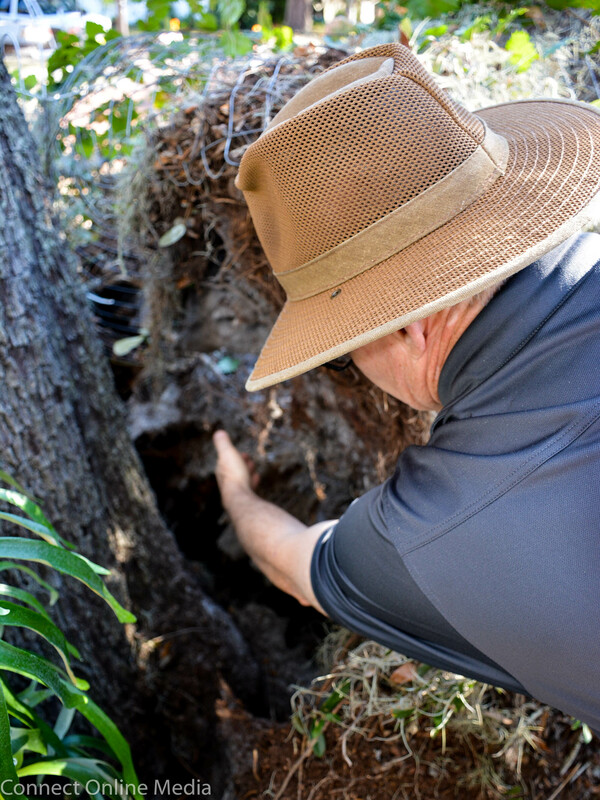 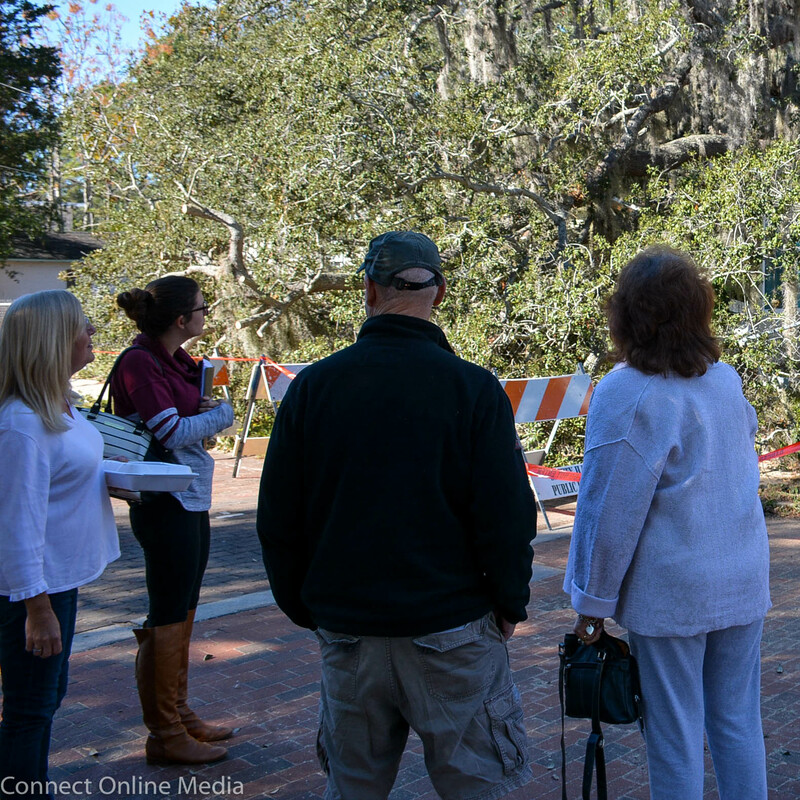 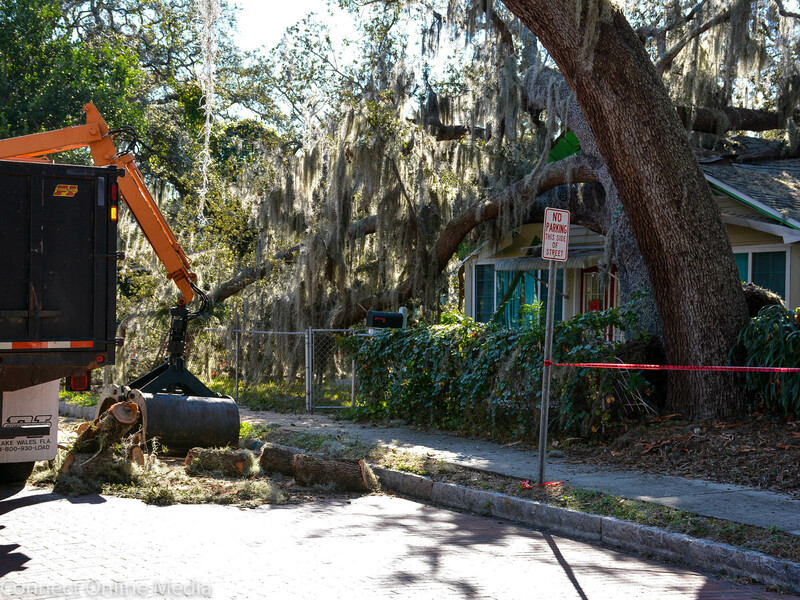 Safety Harbor arborist Art Finn points to the root damage of the co-dominant oak tree that toppled in Safety Harbor on Friday, Dec. 8, 2017. 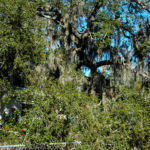 Finn estimated the trees at roughly 180-200 years old and that about 8 tons of weight was resting on Boyce’s home. 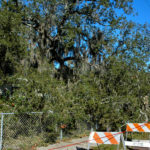 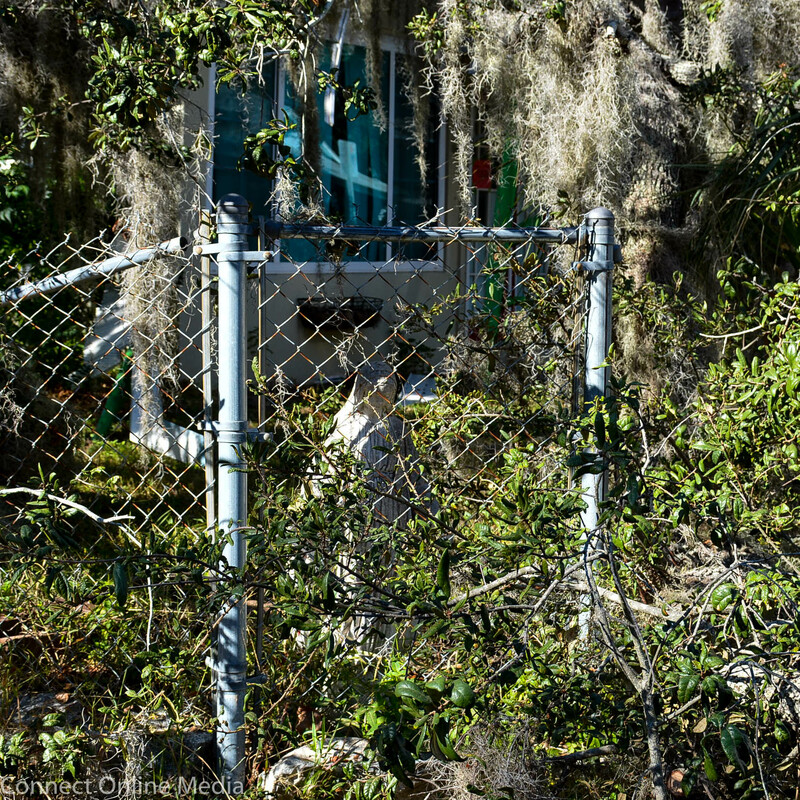 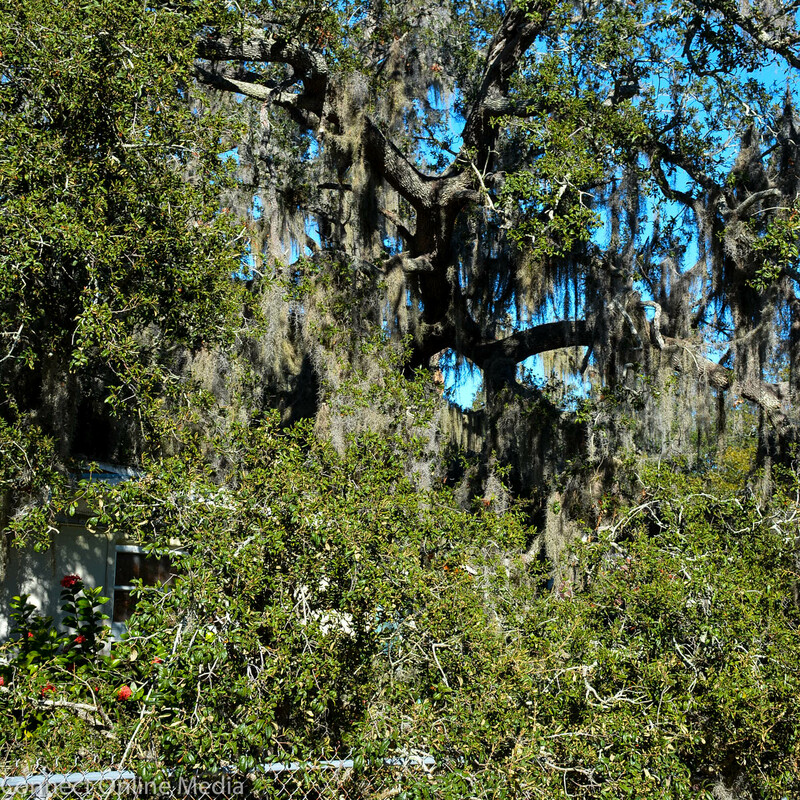 He said codominant trees are commonplace in Safety Harbor, and each one is subject to failure. 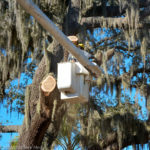 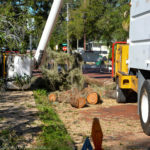 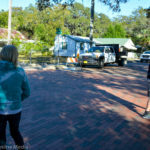 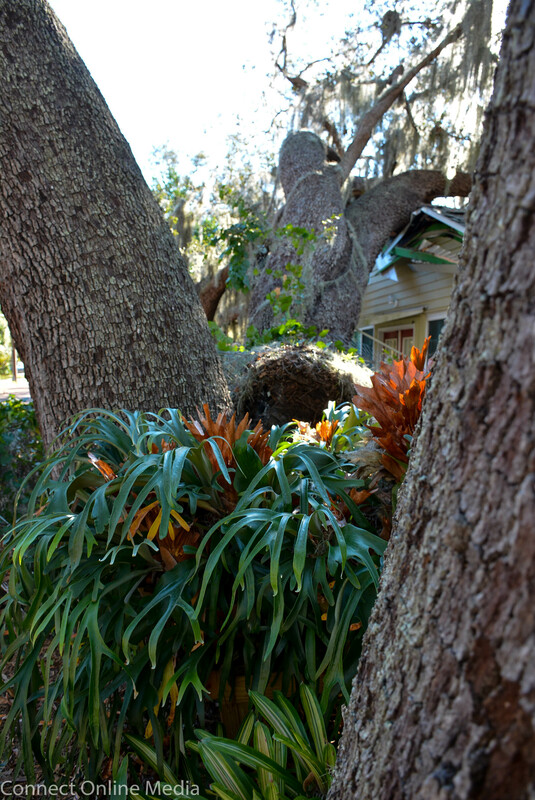 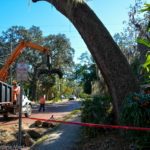 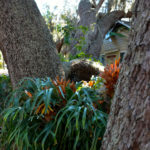 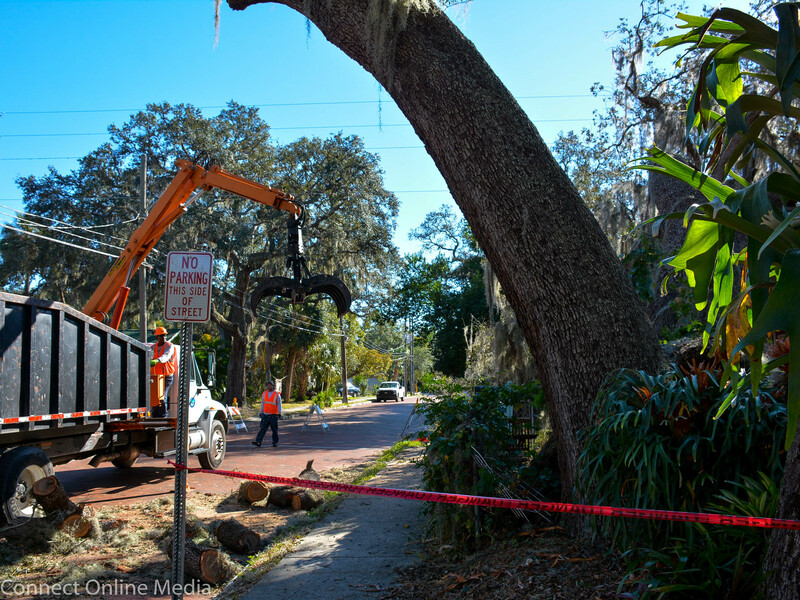 “This is our most common failure in Safety Harbor,” he said, noting it can be prevented by trimming the canopy to help keep some of the weight off. 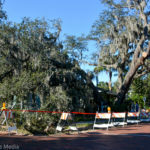 “It’s a structural defect these tree have from the time they are born. 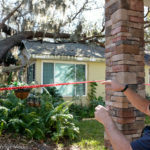 He said part of his job is to do a free assessment of questionable trees and advise the homeowner what they should do about the situation. 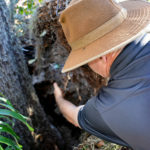 “It’s important for people to know why this is happening and to understand that not all old, big trees are dangerous, but some are, and they can be taken care of before something like this happens,” he said. 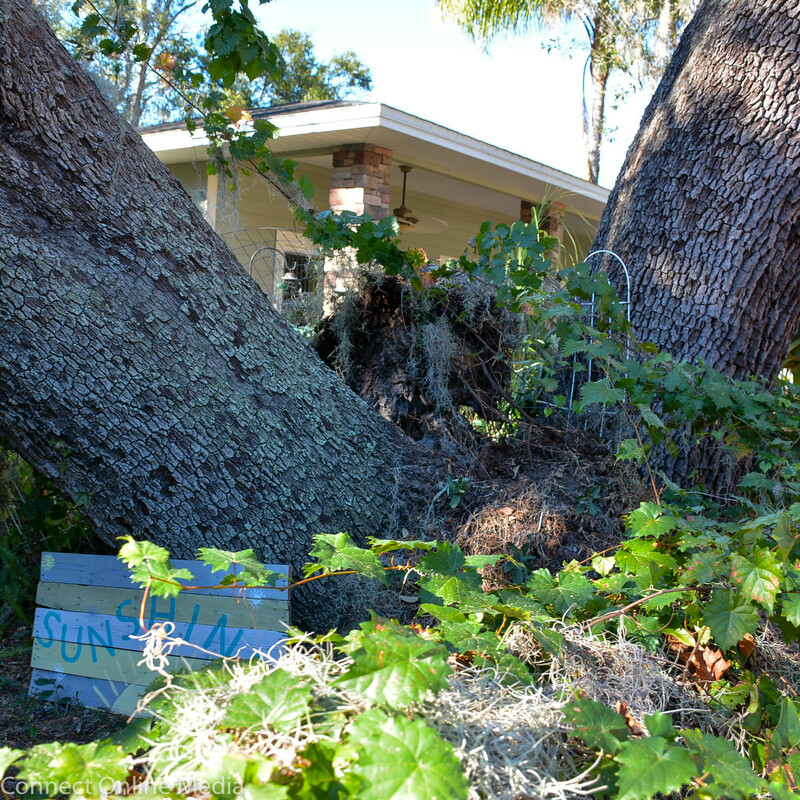 While co-dominant trees are commonplace, Finn admitted what happened at the Boyce home was a rare occurrence. 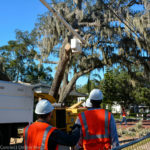 On Monday, city workers chopped some of the branches off the surviving tree to help balance the weight and reduce the risk of it falling in the opposite direction. 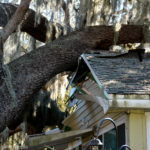 Finn said the homeowner is responsible for the removal of the tree on the roof, a dangerous process that could cost several thousand dollars. 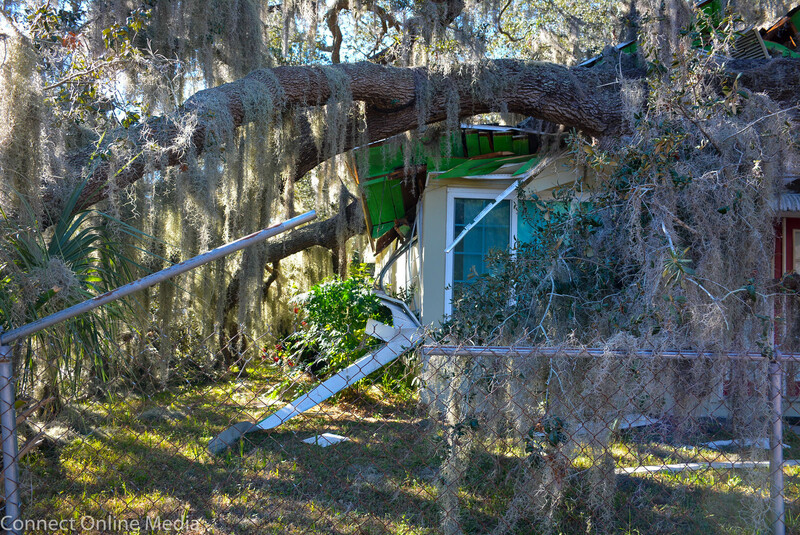 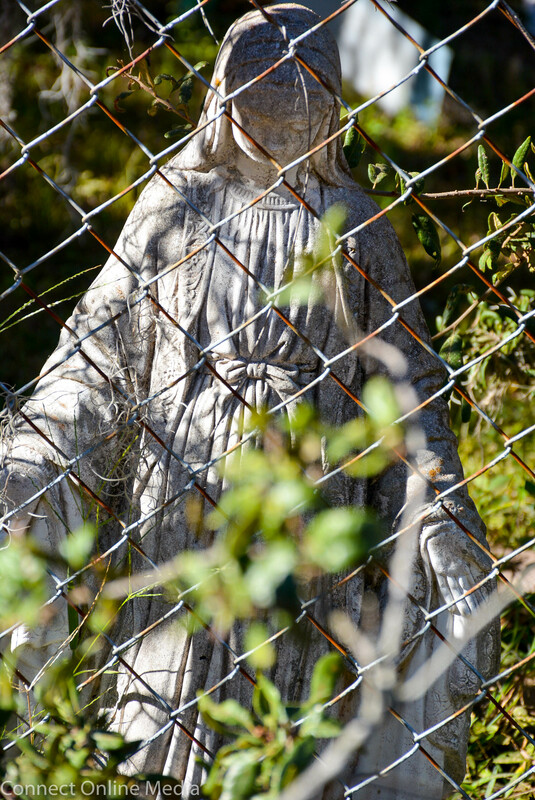 A statue of the Virgin Mary sits in the yard of a downtown Safety Harbor home that was partially crushed by a giant oak tree over the weekend. 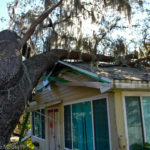 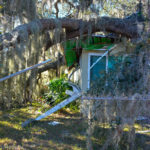 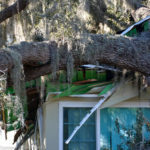 Late Monday afternoon, Boyce was still waiting for the insurance adjustor to come and assess the extent of damage to the home. 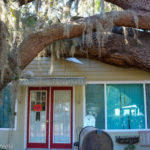 She hasn’t been allowed to reenter the house, as the tree is unstable and has shifted noticeably since it fell. 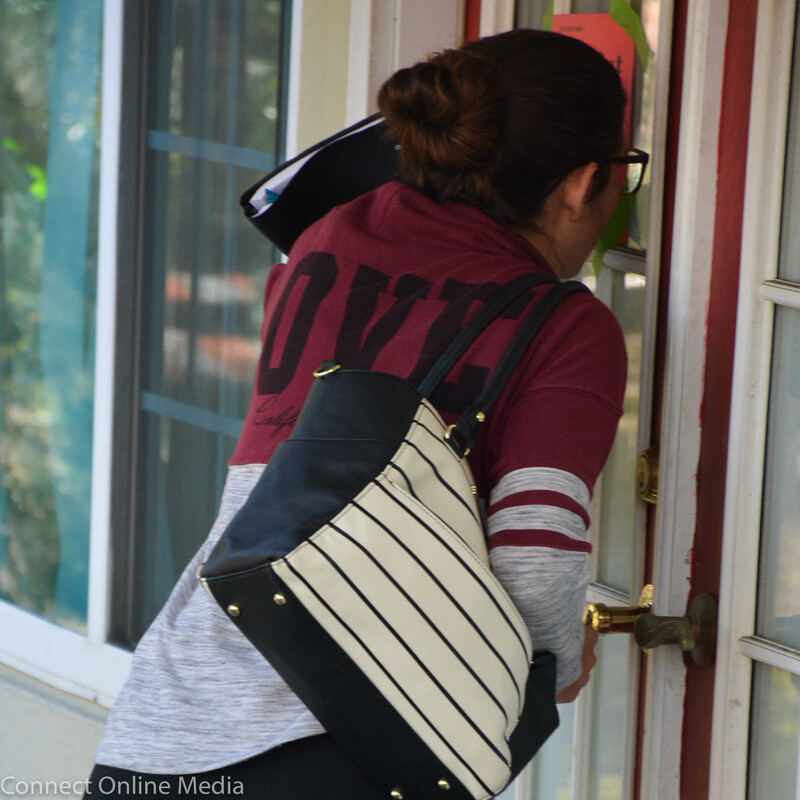 In the meantime, Boyce and her daughter have been relying on the kindness of neighbors to help them get through this difficult time. 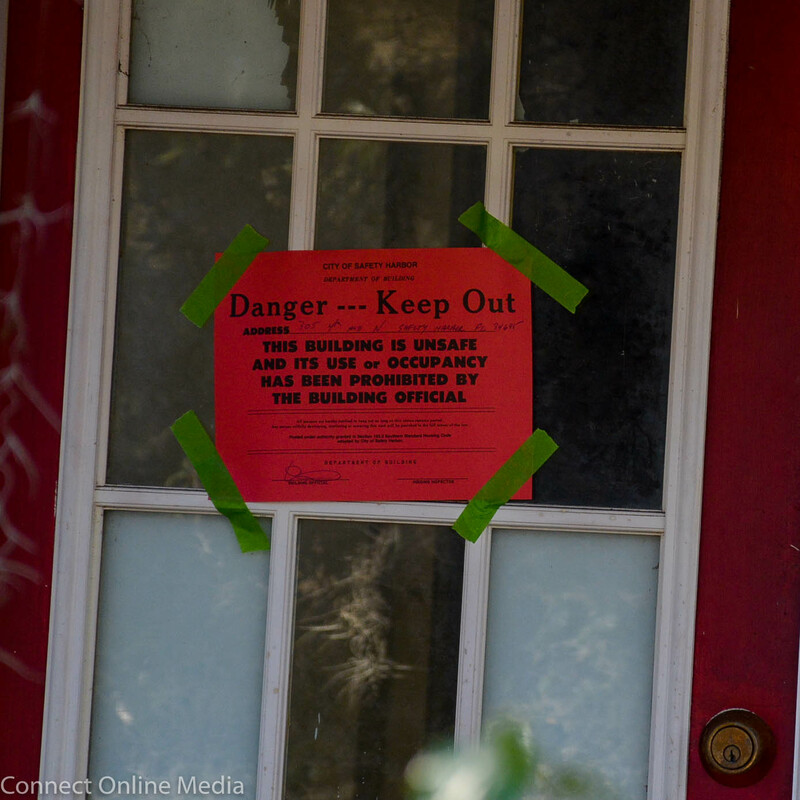 “My neighbors have been so great,” Boyce said, adding she is staying with a friend across the street while her daughter stays with a longtime childhood friend a few houses away. 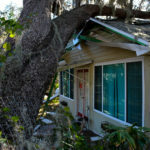 While she admitted the home is old and in need of repairs, Boyce said she isn’t ready to move on. 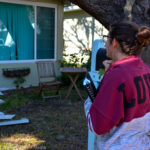 “My daughter grew up in this home, and I want to leave it to her so she can raise her family here,” she said as Coluzzi nodded and started tearing up. 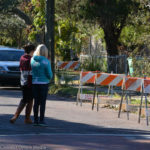 Note: If you would like to help Janice and Kayla with any financial hardships that will result from their situation, a longtime family friend and neighbor has set up a GoFundMe page for the family. 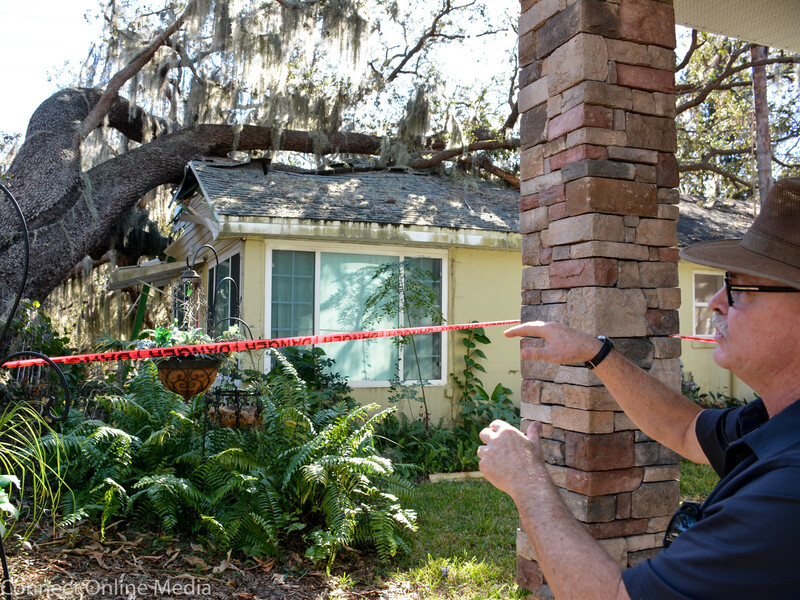 Thank goodness you and your daughter were not hurt.